a.k.a., The Dresden Fan Collection... although possibly not your typical Dresden Fan! Stunning Machine Embroidered Appliqué in as Many Hoopings as it Takes! The bigger the hoop that you have, the fewer hoopings required for each block. 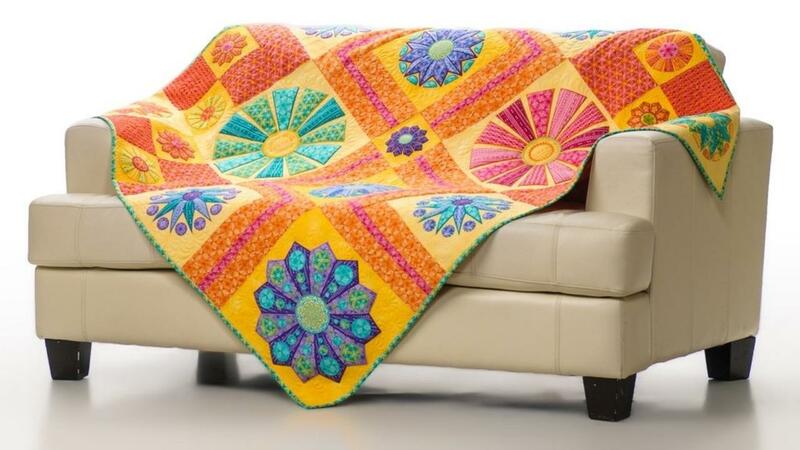 If you love fussy cutting, then this is definitely the quilt for you! Choose geometric print fabrics to create gorgeous kaleidoscopes with endless possibilities.